Get a Free Suncare Kit from Listen To Your Skin. 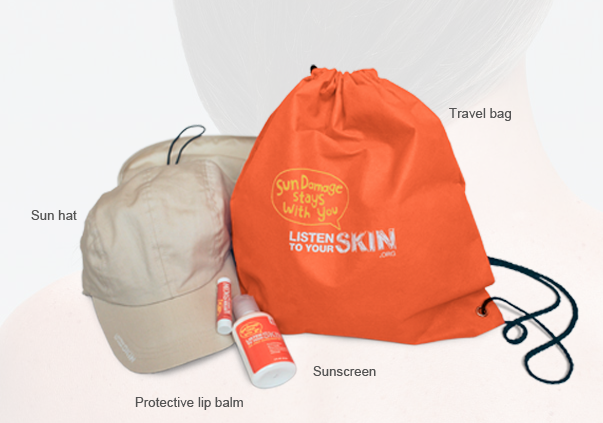 Kit includes a Travel Bag, Lip Balm, Hat & Sunscreen. To request one of your own, just click on gray ‘Sign Up’ tab on the left.